Timesheet is broken down by tasks. You fill in the total hours for the project and hours spent on each task. 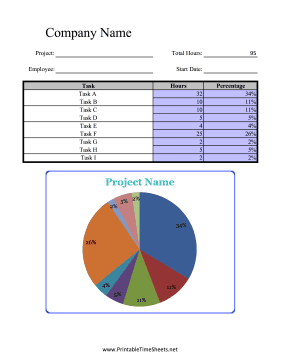 Data calculates as a percentage and presents as a pie chart that shows amount of time spent on each task.